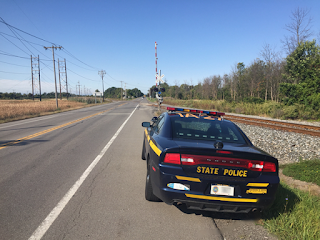 On September 25, 2018 the New York State Police in Troop A and Amtrak will be participating in “Operation Clear Track”, which is the largest single day railroad safety law enforcement initiative in the U.S. This year’s deployment will require Troopers for three hours to monitor railroad crossings and enforce state laws that apply when operators disregard the safety equipment at railroad crossings. Raising public awareness about the dangers of failing to comply with railroad safety laws is a critical step in preventing railroad-related deaths and injuries in the community.